Below are the three fastest-growing trends for addressing ecommerce through the mobile web. 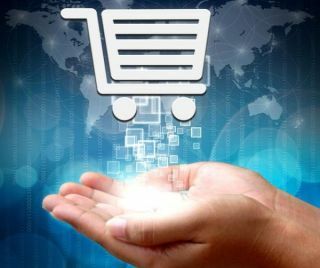 The inclusion of sales channels into the ecommerce landscape requires a more technical approach. In April of 2015, Google announced that it would use mobile-friendliness as a ranking signal in search results, rewarding websites that are fully optimized for mobile platforms.ore, and determine how they impact all the sales channels currently offered. When you think of it, every consumer sales experience can be delivered through a mobile device as well as POS systems and kiosks. But the most important channel of all is ecommerce. The inclusion of sales channels into the ecommerce landscape requires a more technical approach. In April of 2015, Google announced that it would use mobile-friendliness as a ranking signal in search results, rewarding websites that are fully optimised for mobile platforms. With this critical business fact in mind, below are the three fastest-growing trends for addressing ecommerce through the mobile web, along with the pros and cons for RWD, AWD and a blended approach known as RESS. There are currently three approaches to creating an ecommerce site that works well on multiple devices: Responsive Web design (client-side scripting), Adaptive Web Design (with server-side scripting) or Blended Web design (responsive with server-side components). What’s the difference? What should you use and why? If your goal is to design and develop a single ﬂuid website that will respond to the user’s device, allowing a well-designed experience to work on a wide range of screen sizes—from the smallest smart phone to the largest desktop, and every tablet or laptop in between—then Responsive Web Design (RWD) is a great way to go. CSS and Java Script are used here in a client-side approach to modify the presentation of pages to fit a user’s screen. The technology behind RWD is built into the front-end of the website and executed on the user’s device. Server-side changes are not needed and no redirects or third parties are required. • Easier back-end integration: User accounts and data do not require complicated synchronization across devices. A logged-in user sees the same account on every device.ame content. • Streamlined focus: Business, design and development teams are focused on one project, optimizing your team’s efficiency and creating a simplified calendar of release cycles. • Seamless across devices: RWD can deliver a seamless user experience across devices. It’s all the same site - it is simply displayed in a way that’s responsive to different devices. A consistent experience can help you reinforce a positive brand impression and drive higher conversions. • Better reporting: Business reporting and analytics are easier to manage on a single RWD site. There’s no need to combine data from multiple sites. • Easier back-end integration: User accounts and data do not require complicated synchronisation across devices. A logged-in user sees the same account on every device. • Better reach: Flexible design does not require re-work when new devices are released (larger phones, smaller tablets, etc.). This means you’ve got a future-proof design and better reach to non-desktop devices. • Talent is hard to find: RWD is a new technique, so the pool of developers who can do it well is small. • Hard to learn: Designing for RWD can be challenging. If your developers aren’t well versed in it, it can be tough to learn. • Greater collaboration required: Process changes require more collaboration between design and development teams. • Performance may be slow: If responsive images are not used and the site is not built correctly for all screens, the site can be slow on mobile devices. • Longer lead time: RWD required increased development and QA time compared to a single static site. Using the server-side approach, Adaptive Web Design (AWD) serves different content to users on different devices. For example, a company sends users on mobile devices to a different domain that serves content from a different module. By sending different content, the user experience can differ significantly from the desktop site. • Agile performance: Site performance is optimized to each site separately, resulting in faster load times for mobile devices. • Different experiences easy to deliver: While delivering a consistent experience on all platforms has real benefits, in some instances, you might want to offer different experiences to users on different devices. With AWD, this is easy to do. • Proven track record: Building static sites one by one is more familiar to business, design and development teams. • Outsourcing is easier: Outsourcing to a third party can be cost-effective if non-desktop segments are not expected to generate revenue or if a seamless user experience is not a priority. • User experiences differ: It’s pretty difficult to keep everything in sync. You’re almost guaranteed to have different user experiences on different devices. • Multiplied maintenance: All maintenance and release work is multiplied by the number of sites. • Divided attention: Business, design and development teams’ attention is split on multiple sites and projects. • Complex coordination: Project work must be done in parallel with various teams (mobile site team, desktop site team, etc.). • Complicated reporting: Business reporting and web analytics are in multiple systems and require business resources to gather and combine data manually. • Difficult to adapt: New devices in the market may require new sites or re-designs. • Back-end integration is harder: User accounts and data are not shared across sites without significant engineering effort. • Challenging on multiple devices at once: Activity across devices requires engineering effort to handle complex interactions (mobile URL opened on desktop, or vice versa). • Longer lead time: As with RWD, increased development and QA time is required compared to a single static site. • SEO suffers: When content is split across multiple sites/URLs, the effects on SEO are negative. For example, using an RESS approach, users on mobile devices can receive a header and footer that’s customized to their device, but there’s still just one website to serve multiple devices. For example, using an RESS approach, users on mobile devices can receive a header and footer that’s customised to their device, but there’s still just one website to serve multiple devices. This decreases the overall footprint of the download and can reduce the processing that has to happen on the client. Essentially, RESS combines the best of RWD and AWD. • One site for consistent experience: With RESS, it’s just one site – just like RWD – so if you have the skills, it’s simpler to build and maintain, and it delivers a consistent user experience across all devices. • Reduced burden, better performance: Having custom components delivered to different devices can reduce the client-side processing burden and improve performance. • Designers are hard to find: If the talent pool for RWD is limited, the number of developers who’ve mastered RESS is even more limited. This will change over time, but given the benefits of RESS development, it might be worth going the extra mile to find developers who have mastered this new approach. As is clear, each of the three approaches to building a mobile strategy has its pluses and minuses, but for most businesses, RWD offers the best bang for the buck. Since there are few companies with the capital to invest in constant maintenance of multiple code bases, RWD offers an efficient and economical way of optimizing your current website to meet the demands of ever-changing screen sizes and resolutions. Many of the drawbacks of the RWD approach can be greatly minimized or completely eliminated with the right team using the RWD framework. RWD also offers the pluses of simplified maintenance, easier integration, a consistent user experience and reduced development costs - without running into the performance issues that can plague client-side processing. However, not all traffic sources and, therefore, not all business needs are the same. If you’ve got primarily tablet-based traffic and limited resources, an AWD approach might be a reasonable stopgap before making the move to RWD or RESS in the future. Although an RESS approach offers additional benefits it can be more costly and requires a special skill set to be executed correctly. The best approach to eCommerce will be the one that meets the specific needs of your target audience and its online habits. Which mobile devices do your customers and prospects use? Do they use more than one in their purchasing journey? Do they use them at the same time? Knowing how they are accessing your online presence will help you create an engaging mobile experience that will make consumers feel welcome. They will know that you had them in mind, and they will likely return again and again. Sam Ganga is President of Global Mobility Services at DMI and also serves as the company’s Mobile Innovations Officer. Sam is responsible for Global Mobility Services at DMI, overseeing managed services growth across government and commercial accounts. Specifically, he oversees the Cloud-Based Managed Services, Managed Mobility Services and Government Mobility Services divisions. Sam’s group focuses on providing managed services through DMI’s Data Center, using secure management of mobile devices, applications and data, while reducing risk and complexity for customers.